62z.—Initial capital letter “Z” from Dance of Death Alphabet. 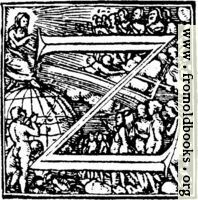 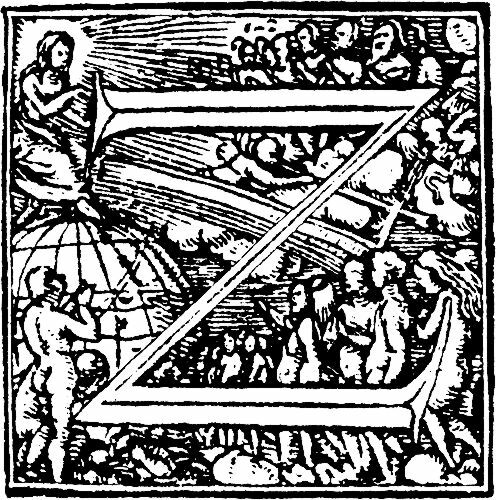 This decorative initial letter “Z”, or drop cap, is from an alphabet designed by Hans Holbein and dating from 1523. 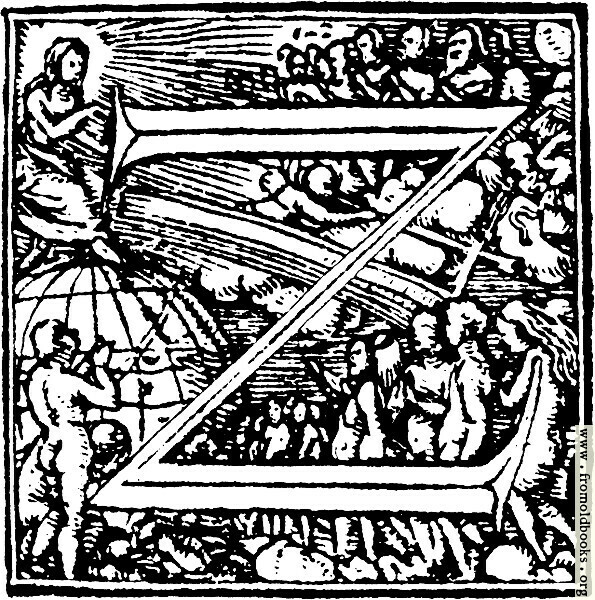 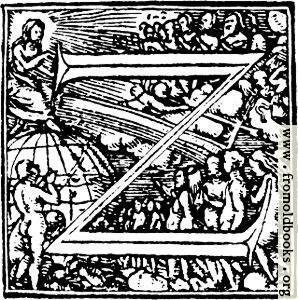 Appropriately for the end of the alphabet, this drop cap Z shows the end of the world and the bodily resurrection at the End of Days, with the Last Judgement.